Hyon Yong Chol: An execution and a message? If the South Korean National Intelligence Service (NIS) is to be believed, another high-level purge has just occurred in North Korea. Defense Minister Hyon Yong Chol was just executed for his lack of respect and insubordination toward Kim Jong Un. At least, this is what the NIS representative said. Of course, one has to be somewhat cautious about such reports. North Korean politics is a murky business indeed. In the past we have seen how people long believed to have been purged and killed suddenly reappear and even get a high position. It is not impossible that the NIS has its own reasons for releasing this news, and such reasons may not be journalistic. However, one has to admit something that relatively few are prepared to: On balance, the NIS has a fairly good record at Pyongyang watching, and this is an achievement. There were dubious leaks regarding North Korea and linked to the NIS. But these were leaks, clandestinely arranged through media, not official statements. On balance, the latter has been quite reliable. It is worth remembering, for example, that it was the NIS officials who warned of the imminent purge of Jang Song Thaek a couple of years ago. Even if the reports of Hyon Yong Chul’s execution are wrong, one thing is beyond doubt: It has become quite risky to hold a high-level post under the reign of Marshal Kim Jong Un. Even if some reports are false, we still have plenty of evidence that the young ruler is much more willing to kill people in his entourage than his father or grandfather once were. This might have some relation to certain elements of his biography. Until the late 1950s, Kim Il Sung was engaged in a bitter factional struggle, and at that time he was less disinclined to execute or assassinate his rivals. However, from his view point such rivals were almost always outsiders, people who belonged to different groups in the leadership and prior to 1945 had no personal connection to Kim Il Sung. In the early 1960s things changed. Nearly all top positions in North Korea came to be occupied by former guerrillas from Manchuria, comrades from Kim Il Sung’s own heroic youth. Obviously, Kim Il Sung was quite reluctant to kill these people, and resorted to such extreme measures only when really angry. In most cases, disgrace for a top official meant exile and demotion. A former minister or, say, three star general could easily find himself a clerk in a village administration or even a farmer. However, the life of such disgraced officials was nearly always safe. Furthermore, after spending some time in a humble position they were frequently recalled back to Pyongyang and even reappointed to highly prestigious posts. Kim Jong Il essentially continued his father’s soft approach to personnel matters at the top. This did not mean that father and son were completely harmless. Sometimes they did have people they did not like executed. One can, for example, mention the sorry fate of So Kwan Hui, the former Korean Workers Party Central Committee’s secretary responsible for agriculture. Back in 1997, he was made a scapegoat for the disastrous famine and executed. However, such events were very rare. 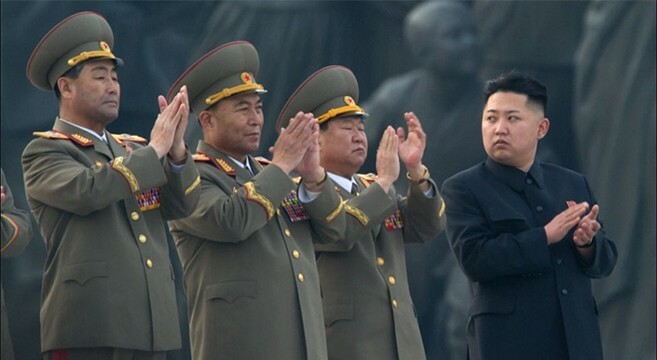 The first two Kims could be harsh on commoners, but they treated their immediate entourage with great leniency. This is clearly not the case with Kim Jong Un, who has thus far proved himself to be remarkably trigger happy. It seems that he does not possess his predecessors’ distaste for executing his courtiers, even when such people happen to be members of his own family – like Jang Song Thaek. What does this all mean for political stability? On the one hand, it seems that the young leader wants to increase his control over the administration and remove all potential opposition. One should remember that until 2010, Kim Jong Un was a complete unknown. He is embarrassingly young, and so, many of North Korea’s top officials could easily be his grandparents. He has also spent much time overseas. All this means that he is not merely potentially the object of ridicule but also contempt. It seems that in his harshness he is sending a signal: reminding his subjects that he is not a person to be messed with, however comical he might appear at first glance. Incidentally, such a policy does not necessarily indicate that there is domestic discontent. One should not forget that in 1937-1938, Joseph Stalin conducted a massive purge of the military and civilian bureaucracy and general population, even though there we no protests or discontent, let alone conspiracies which would threaten his rule. As a matter of fact, the 1937 Great Purge in the Soviet Union did not have negative impact on domestic stability either. However, there is another dimension. In the days of Kim Il Sung and Kim Jong Il, top officials knew that while they faced a chance of purge, their physical chances of survival and of making a comeback were relatively high. As a result, high officials under threat could remain calm, accept their fate and all accusations while delivering as much self-criticism as they could. Such a strategy significantly increased their chances of survival and eventual comeback. Under Kim Jong Un, this old strategy seemingly no longer always works. Disgrace may mean death. So for an official in the firing line, resistance may make more sense than waiting for a short trip to the execution grounds. Fleeing the country with bags of state secrets or staging a coup now make a lot more sense than they once did. It remains to be seen which way the situation will unfold. Nevertheless, recent purges once again confirm that Kim Jong Un is dramatically changing the rules of the political game in Pyongyang.